Mammoth Public Library is a vibrant center of activity in Mammoth, Arizona. We are located in the basement of the Town Hall, at 125 N. Clark St. To reach the entrance, drive around to the back of the building and park there. 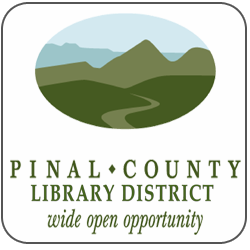 Alternatively, you can come down Main St. and you’ll see the library behind the Pinal County Health Clinic. Please click here to review our proposed Library Polices.